Transforming the lives of microtia patients is what it’s all about for Dr. Mark Mitchell Jones of Atlanta Plastic Surgery Consultants. Children travel from all across the country, and even internationally, to have ear reconstruction surgery with Dr. Jones. Children who undergo the ear reconstruction process need to be about 5 or 6 years old, and the entire process can take a year or more. While there are other options to ear reconstruction with rib graft technique, these other methods do not use the patient’s own tissue and are subject to trauma, rejection, infection, and poor healing. Dr. Jones thoroughly enjoys the work he does and all the wonderful thank-you notes he receives from parents and his young patients. The cute cards and kind words push him to continue to improve his surgical methods. Dr. Jones has made several proprietary improvements to the standard rib graft surgical technique to address specific situations. Earlier this year, Dr. Jones reached a milestone of 300 microtia repair surgeries. 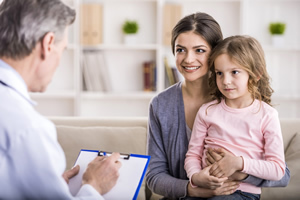 This surgery is highly specialized and Dr. Jones recommends that parents consider a surgeon’s experience when deciding on ear surgery for their children. Many parents are eager for information and support when they learn about their child’s condition. Our website features a “Guide to Microtia” that many parents have found helpful. Other resources include Ear Community, which is a group run by other parents for families. To learn more, please call our office at (404) 355-3566.